Marie of Edinburgh was born a British Princess as the daughter of Prince Alfred, Duke of Edinburgh and Grand Duchess Maria Alexandrovna of Russia on 29 October 1875. She was a granddaughter of Queen Victoria through her father. To her family, she was known as Missy. 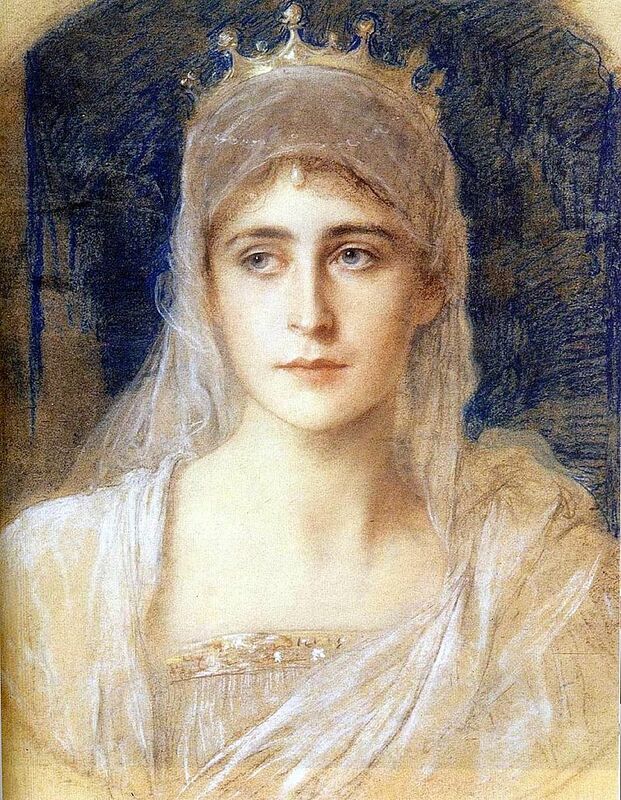 As a young woman, she was courted by several suitors, including the future George V. Her mother was against the marriage because she resented England and her native Russian Orthodox Church forbade marriage between first cousins. George proposed anyway, but Marie refused him. Marie met her future husband, then Crown Prince Ferdinand of Romania, at a gala. She was just 16 at the time. The groom’s father visited England in 1892 to meet Marie’s father and grandmother, and for the occasion, he was also appointed a Knight of the Garter. Marie and Ferdinand were married at Sigmaringen Castle on 10 January 1893 in three different ceremonies. Nine months after the weddings Marie gave birth to her first child, Prince Carol on 15 October 1893. They would have six children, though the last child would die young. Marie appears to have had an affair around 1897 with a Romanian Lieutenant, Gheorghe Cantacuzène. She was probably pregnant when she returned to Coburg to her mother. The child was either stillborn or immediately sent to an orphanage. 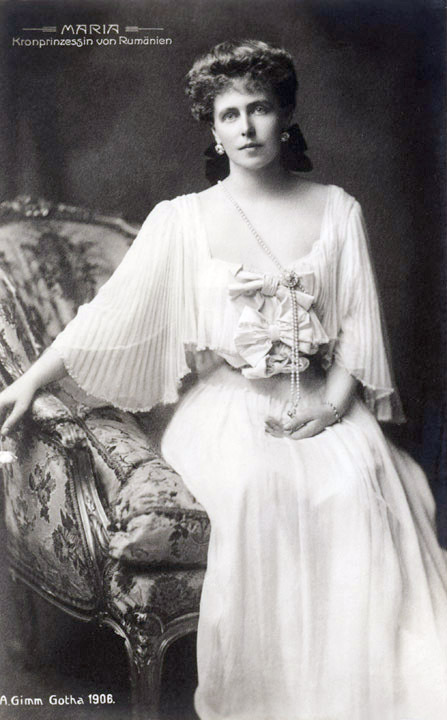 Over the years and following the birth of her subsequent children rumours persisted that Ferdinand was not the father of her children as she became romantically linked to several men. Ferdinand recognised the children anyway. On 10 October 1914, in a year that was already turbulent with the murder of Archduke Franz Ferdinand, King Carol died, and Ferdinand became King of Romania. 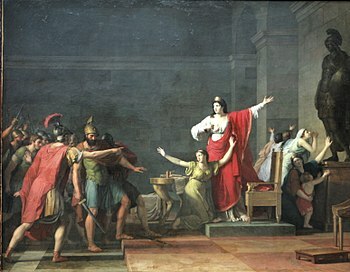 Marie was quite a popular Queen. 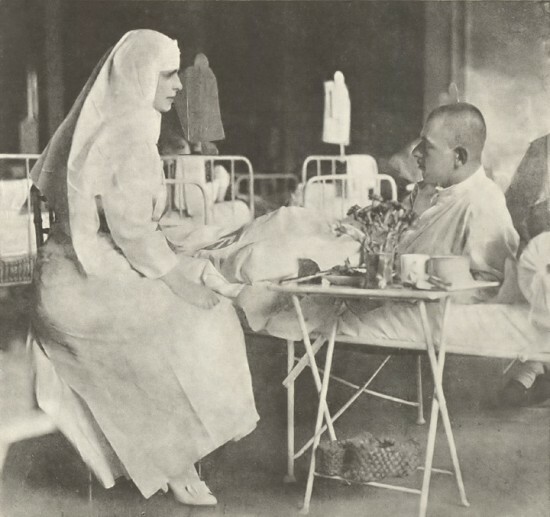 During the war, Marie was involved with the Red Cross, and she visited hospitals every day. Her son Carol sparked a crisis when he renounced his succession rights on 5 January 1926. His son Michael was now proclaimed heir. Ferdinand died on 20 July 1927, and he was succeeded by Michael, who was just five years old. However, Prince Carol attempted to return to Romania in 1928. Finally on 6 June 1930, Carol arrived in Bucharest, and his renunciation was declared null. It must have been a strange situation, to have a father succeed his son as King. He never sought Marie’s advice, and their relationship was strained at best. Marie turned to the Bahá’í faith, and she was the first member to become a Bahá’í. Carol tried to diminish Marie’s popularity, but he was unsuccessful. Marie remained as popular as ever in Romania. In the summer of 1937, she was diagnosed with cirrhosis of the liver, though she had never been a drinker. She spent time in several sanatoriums in Italy and Germany, but she continued to grow weaker. She eventually requested to be taken back to Romania to die there. She made it to Pelisor Castle where she died on 18 July 1938 at 5.38PM. 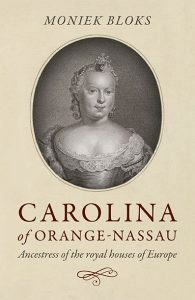 Her two eldest children en grandson Michael were at her deathbed. She lay in state in Bucharest at Cotroceni Palace. 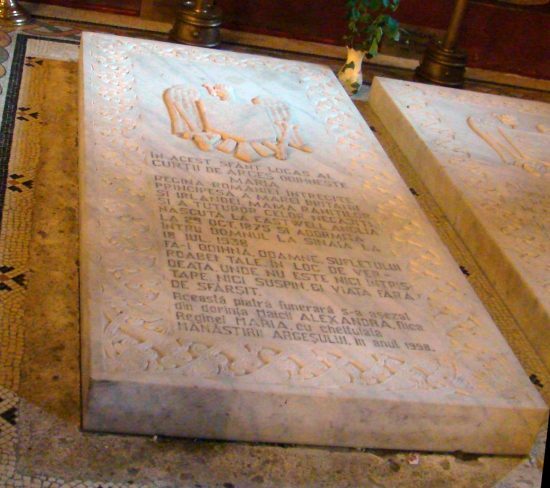 She was taken by train to the Curtea de Arges Monastery, where she was buried. Her heart was placed in a small golden casket and interred in the Stella Maris Chapel in Balchik. 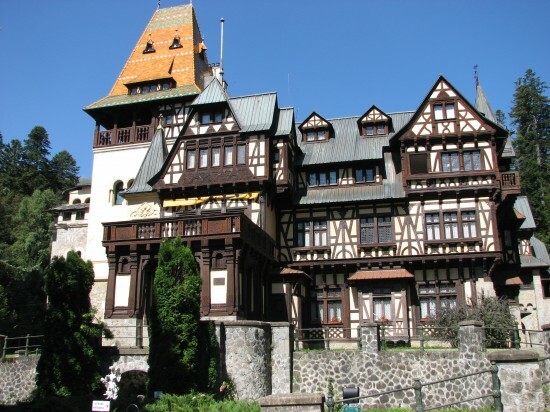 In 1940 the casket was transferred to Bran Castle. The communist regime placed the heart in the National Museum of History where it has been for the past 40 years. It was recently announced that the heart is to be returned to Pelisor Castle this autumn, upon the request of King Michael of Romania. As Pelisor Castle is not open to the public, I expect the heart won’t go on display, but perhaps the family will organise some sort of exhibition around it. Who knows?